Want to avail an affordable and proven general medical checkup in Karad right now? The preventive health check up packages offered by Indus Health Plus in Karad range from full body check, medical health check up, heart health check-ups and several other tailor-made packages to suit your needs. Job related stress, unhealthy eating habits and inadequate rest give rise to health complications that need to be attended at the right time before the onset of a lifestyle disease. In such situations, comprehensive health checkup is the key to ensure that your health status remains intact. 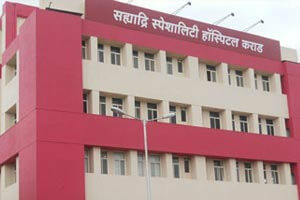 Indus Health Plus has tie-ups with the best hospitals with top-class medical facilities in Karad. Our fitness checkups services can be availed across 78+ cities in India at the best cost. Indus Health Plus is an ISO 9001:2015 Certified Preventive Healthcare Service Provider. Book your complete health checkups with Indus Health Plus in Karad & get upto 40% off on market price with same day reports. A preventive health check up is your priority right now? Don't hesitate or wait to get the best regular health check-up in Karad from Indus Health Plus.